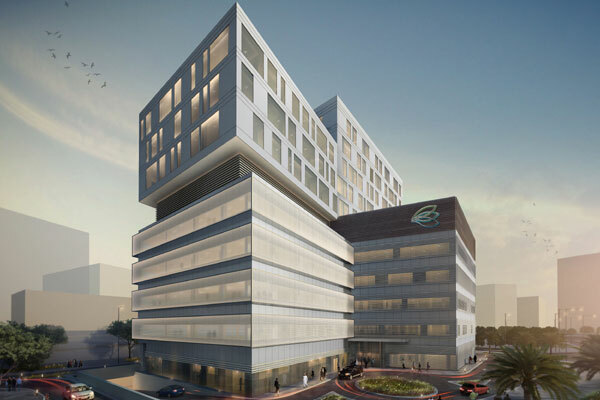 Dubai Investments has grown its healthcare portfolio with a 20 per cent stake in an equity partnership in the Dh465 million ($126 million) Clemenceau Medical Centre, a new development which will offer specialty care across multiple disciplines in Dubai Healthcare City Phase 2. A leading diversified investment company, Dubai Investments, said the equity partnership with Khansaheb Investments (55 per cent) and CMC SAL (25 per cent) is the latest addition to the Dubai Investments healthcare portfolio, which also includes an equity partnership for a multi-disciplinary hospital and day care clinics in Dubai under world renowned British teaching hospital King’s College Hospital London. Construction at the Clemenceau Medical Centre is now 68 per cent complete, and the 110-bed specialty care facility is expected to open in June next year. Managing Director and CEO Khalid Bin Kalban said: "Healthcare is one of the core development sectors of the nation, and there are concerted initiatives to strengthen it and bring world-class medical facilities to the region." "Through our equity participation in the new Clemenceau Medical Centre in Dubai, we are underpinning our focus on strategic investments in the sector that will contribute to the well-being of the people and improve upon the reputation of the Emirate as a hub for world-class medical care," he noted. Bin Kalban said the investment was part of a diversification strategy into identified sectors which achieved key business objectives for Dubai Investments besides aligning with the long-term plans of the UAE government and playing an important role in supporting the momentum of the Dubai economy. "We will work closely with CMC management to ensure we deliver a cutting-edge facility that serves the community," he noted. CMC Dubai Healthcare City will offer six operating theatres, 44 consultation clinics, state of the art cardiac centre, advance and robotic surgery suite, and wide-ranging inpatient and outpatient services offering the latest technologies and medical procedures. It is managed by Clemenceau Medicine International and part of the Clemenceau Medicine Network that includes the Clemenceau Medical Center in Beirut, Lebanon and Clemenceau medical center in Riyadh, Saudi Arabia, said the statement from Dubai Investments.